Whether you are facing charges for drug distribution, possession, burglary, assault, or felony possession of a firearm; chances are we have proven the innocence of someone in nearly the exact same situation in the past. 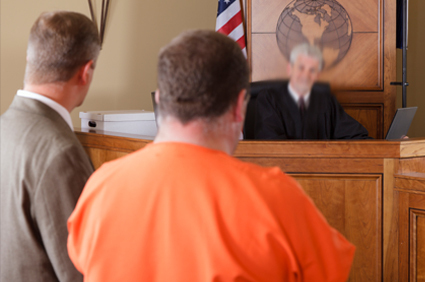 Our attorneys have served as defense counsel, judges, and public defenders. We know what it takes to make sure that arresting officers, prosecutors and investigators play by the rules and respect each and every one of YOUR Constitutional rights as an American citizen. Make sure that any attorney you consider for representation treats your matter as if it were his or her own. We have a team of attorneys and support staff who have vast knowledge and experience in the area of DWI/DUI law. We have a healthy respect for the importance of these cases and put great emphasis on treating our DWI clients as if they were dear friends or family members. We work your case from top to bottom and involve you in the process. After all, one of our partners (former judge) fought his own DWI all the way through a jury trial and was found innocent in 9 minutes. We know how worrisome a DWI can be. 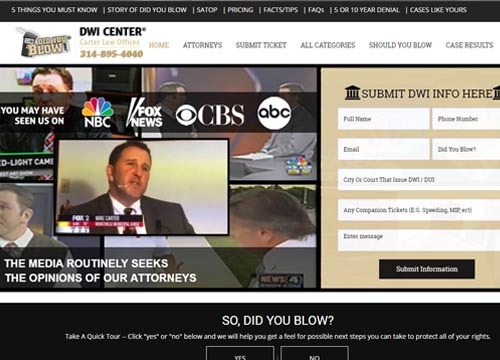 Visit our DWI website (DIDYOUBLOW®.com) for more information on the many different aspects of DWI cases. 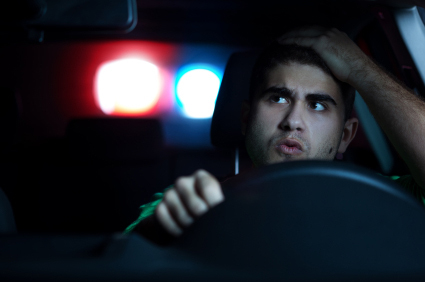 Driving While Suspended or Revoked is a much more serious charge than many people realize. Simply pleading guilty to such a charge will result in a one year revocation of your license, 12 points on your driving record, and can even require mandatory jail time. 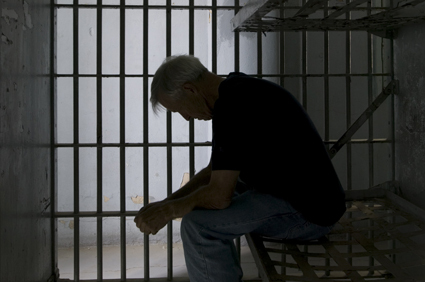 In many cases, we can help you have your DWS/DWR charges amended so that you can avoid the points, the one-year revocation, and spending any time in jail. Visit our DrivingWhileSuspended.com Website for more information on the many different aspects of DWI cases. We get Warrants Recalled all the time. 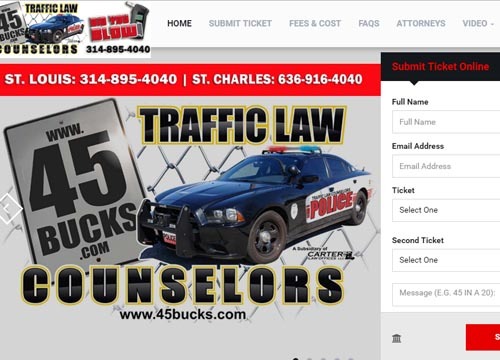 Warrants can be a real issue if you possibly forgot to pay a traffic ticket or simply have an alleged new charge against you that starts with a bond/warrant requirement. 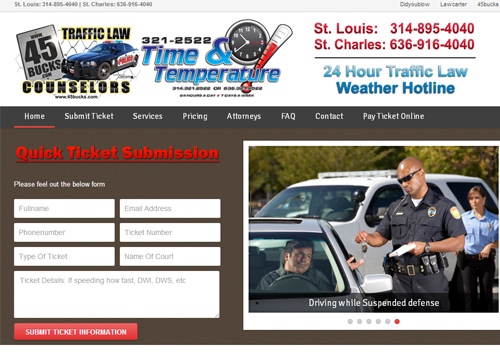 Traffic Law Counselors® has relationships with the 100 + courts in the St. Louis/Charles/Lincoln/Jefferson metro area that allow us to expedite the process of having your WARRANT RECALLED. Our traffic law divisions started in response to the many many traffic-ticket calls we receive through Carter Law Offices' community Time and Temperature service at 321-2522. Traffic Law Counselors® is a subdivision of Carter Law Offices LLC, which handles real estate and other select legal matters. We work for our clients the way we would for ourselves. If there is a legal matter outside of our normal expertise that requires expert analysis, we consult and work with our statewide network of attorneys. After all, one of our partners (former judge) fought his own DWI all the way through a jury trial and was found innocent in 9 minutes. We know how worrisome a DWI can be. 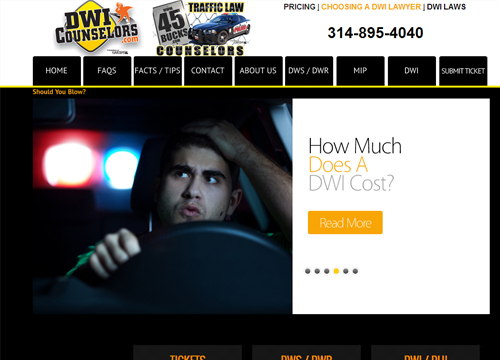 Visit our DWI website for more information on the many different aspects of DWI cases. Do you have a lengthy driving record, or did you just plead guilty on a traffic charge, not realizing how negatively it would affect you? If so, there's a good chance we can help. Sometimes, old convictions can be taken off your record. Similarly, a new guilty plea can frequently be withdrawn and the points taken off your record. We know that Music concerts, float trips, house parties and other like-kind adventures often end with charges like "minor in possession of alcohol," "possession of marijuana/paraphernalia" and other seemingly lower level crimes. 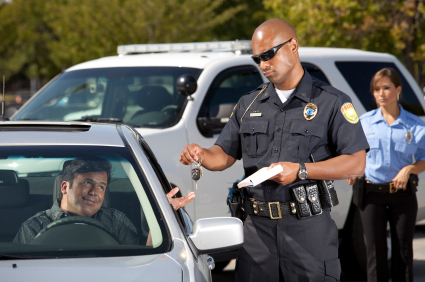 Traffic Law Counselors® deals with these on a routine basis. You never want to simply pay one of these tickets.